Wine of California, U.S.A.Dark Horse winemaker, Beth Liston, believes that fortune favours the bold. Her pioneering approach to viticulture and winemaking champions originality and above all, taste. 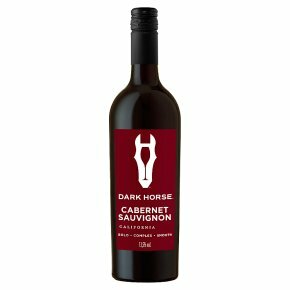 A bold wine with big personality, this Cabernet is driven by flavours of blackberry and black cherry, supported by firm tannins and a hint of spice - all leading toward a complex finish of dark chocolate espresso.